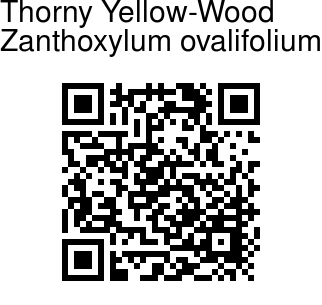 Thorny Yellow-Wood is a shrub 1-6 m tall, with stem brownish, smooth. Leaves are simple or compound with leaflets 8-12 x 3-4.5 cm, elliptic-obovate, apex abruptly long-pointed, smooth, nerves 15-18 pairs with an irregular intramarginal vein. Leaf-stalks are 5-10 cm long. Flowers are borne in panicles up to 5 x 2 cm, in leaf axils. Flowers are few - male flowers are 2-3 mm long, sepals 4, triangular, petals 2-3 mm long, white, stamens 4. 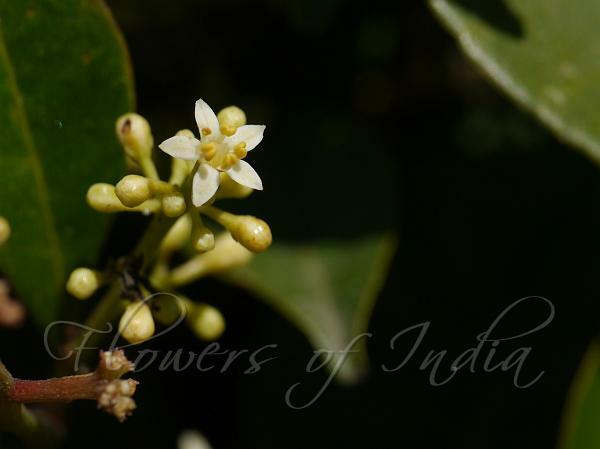 Female flowers are 3-4 mm long, staminodes 4, threadlike, flower-stalks 5 mm long. Capsule are 6 mm across, spherical, dark brown; seed 1, round, shining. Thorny Yellow-Wood is found in Indo-Malesia. Identification credit: Giby Kuriakose, Robi Jose Photographed at Gudampara, Munnar, Kerala.